Speaking at a press briefing in Ho Chi Minh City on August 29, Viet said the report will be presented at the Concluding APEC Senior Officials’ Meeting (CSOM) in the central city of Da Nang in November. 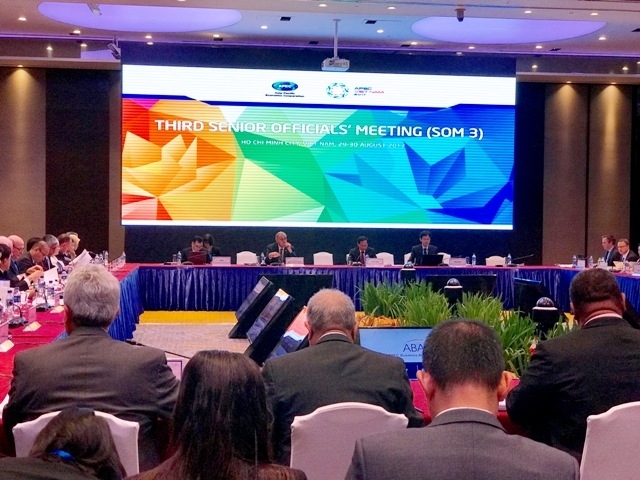 The delegates also reviewed the work carried out by APEC committees, including the Economic Committee (EC), the Committee on Trade and Investment (CTI), the Steering Committee on Economic and Technical Cooperation (SCE), and the Budget and Management Committee (BMC), he added. At the meeting, the EC proposed the officials approve two important documents that are the Framework on Cross-border E-commerce Facilitation that Vietnam has promoted over the past time, and the Best Practices on Promoting Supporting Industries in Asia-Pacific Region, Viet added. 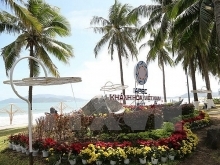 They also looked into initiatives and proposals in preparation for the APEC Leaders’ Week in the central city of Da Nang in November. 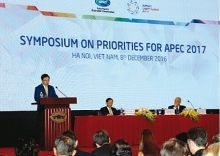 Viet said during more than ten days of working, the SOM3 and related meetings featured more nearly 80 meetings of APEC committees, groups and forums, with the participation of close to 3,000 delegates. EC Chair Rory McLeod told reporters on the sidelines of the SOM3 that they have discussed structural reform, how to make the market function better, “ease of doing business” and competition policy. “We are working on helping people by improving training, the availability of work and making sure that the labour market has protection for workers,” he said. Asked about the agenda of the SOM3 proposed by Vietnam, Arthayudh Srisamoot, Director General of the Department of International Economic Affairs under the Ministry of Foreign Affairs of Thailand, said that the agenda is comprehensive as it covers a range of issues from trade, economy and finance to connectivity, prosperity and development of people in the region. “We talked about the wellbeing of people through human resources development, capacity building and skill development,” the official said. Kathrn Heather Barbara Clemans, a US delegate, said the all the initiatives proposed are desired to help people of the APEC economies build skills necessary to be able to operate in the new economy and they also provide a venue for officials to be able to take policy decisions that also benefit people. Many delegates at the event said they were impressed by the symposium on economic, financial and social inclusion, saying it is a big, thoughtful and new topic raised by host Vietnam.